Although in desolation we ought not to change our first resolutions, it is very helpful intensely to change ourselves against the same desolation, as by insisting more on prayer, meditation, on much examination, and by giving ourselves more scope in some suitable way of doing penance. Father Gallagher’s ministry has totally revolutionized my experience of the Catholic Christian faith. Yours truly is a convert who’ll be celebrating 20 years in full communion this coming Easter Vigil (received during Easter Vigil 1998). Very difficult to put into words the experience Father has brought my way. “Setting the Captives Free” is a beautiful start. No more captivity to my own affective emotions. No more “three steps forward, two steps back”. Able to make progress every day. 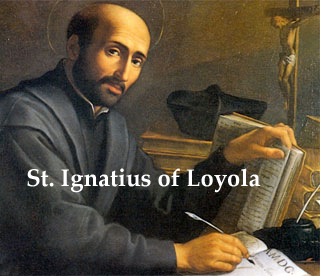 Saint Ignatius really has contributed more to my life in the past two + years than my entire experience of growing in grace the previous 18 years. 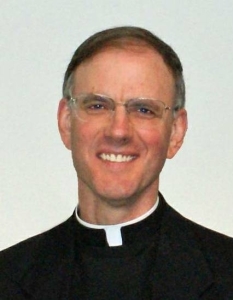 GODSPEED DISCERNING HEARTS, and Thank You Father Gallagher.